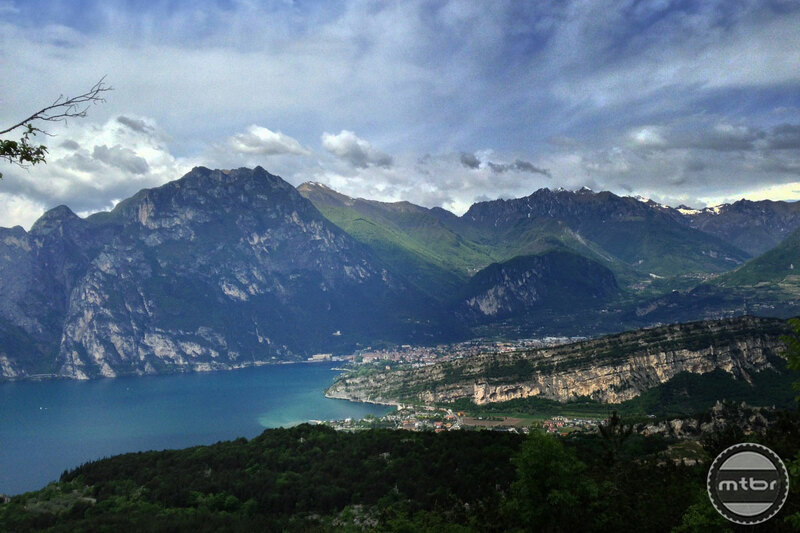 The venue for the Riva Bike Festival is in one of the most beautiful places in the world, Lake Garda. 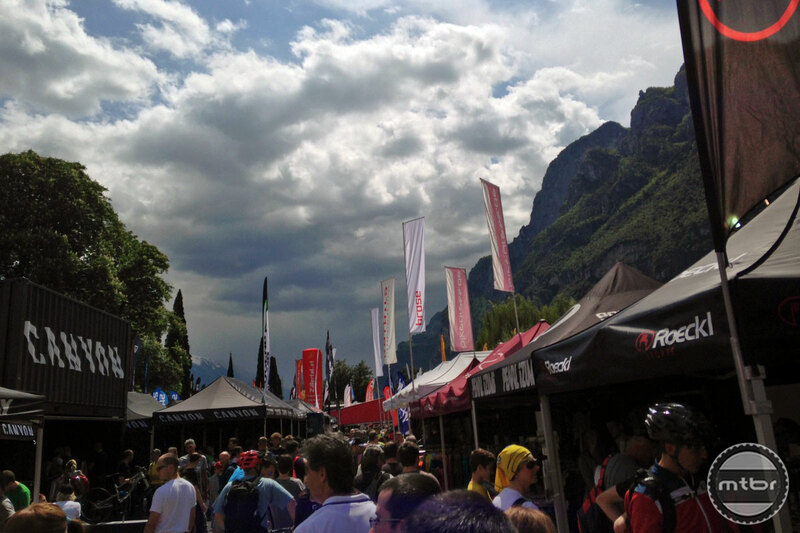 This year, Mtbr got a chance to visit the Riva Bike Festival held annually in Riva del Garda, Italy. The easiest way for North Americans to relate to this event is to envision it as the “Sea Otter Festival of Europe.” It is a chance for enthusiasts and pros to race, see new products and demo new bikes. 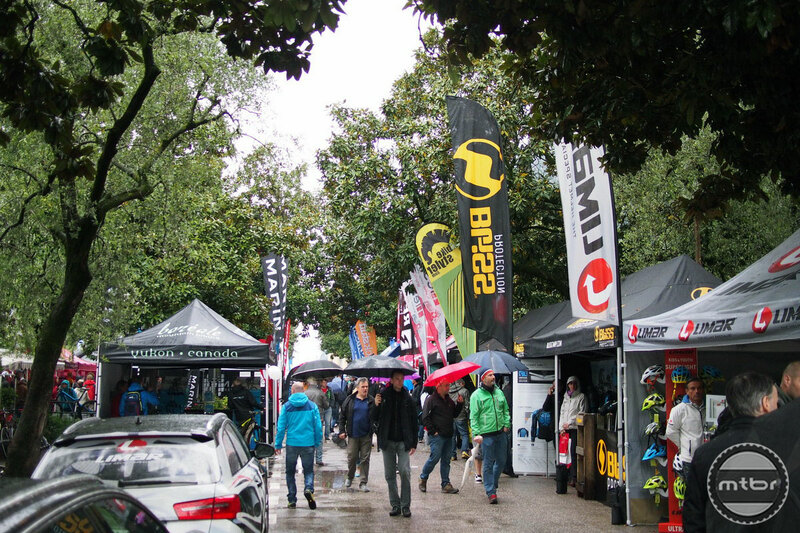 But unlike Sea Otter which has its roots in racing, the Riva Bike Festival which debuted 20 years ago, started as an event for Bike Magazine Germany to connect its readers with its advertisers to see and demo product. They chose Riva del Garda since it was the most stunning bike destination and only a few hours drive from Germany and Austria. From there, its had its ups and downs and it’s now developed into a grand event with races, demos and a grand product expo just like Sea Otter. There are many parallels too with weather since this is held in the spring and symbolizes the opening of biking season. Weather can be unpredictable this early in the season so the chance of getting stormy weather is just part of the tradition. But like Sea Otter, this festival has evolved with the times and is thriving with the bike industry. And since it has its roots with the German media and fans, it is still largely German in terms of visitor attendance. Video: Here is a primer about the history and the events of the Festival. 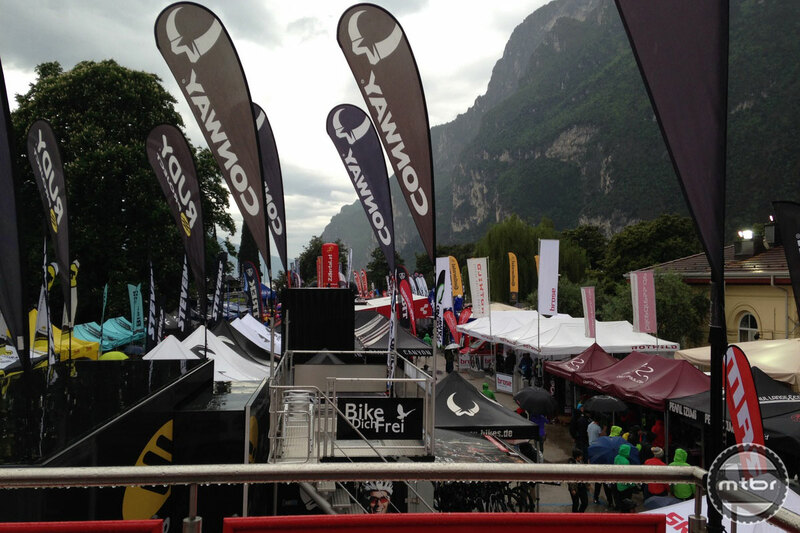 The expo space of the Riva Bike Festival is one of the most stunning outdoor locations around. 3,000 foot rock walls surround the venue and the massive Lake Garda sits right at the tip of the expo. This will be my 21st time visiting this festival (2017) Always nice and fun. I could advise this to any biker.